It is not only our goal to provide exceptional service, it is our job. We support all of our clients’ delivery needs with our extensive fleet of company-owned trucks. With Semi Truck delivery service, our delivery capabilities are unlimited. We focus our services in Arizona, New Mexico, Denver, California, Hawaii, the West Coast and the entire Southwest with continuing expansion in the west. Our Semi Truck delivery service supports companies with a variety of needs – dry loads, refrigerated loads, high-value products, time-sensitive delivery, partial loads and time sensitive and life-saving deliveries. 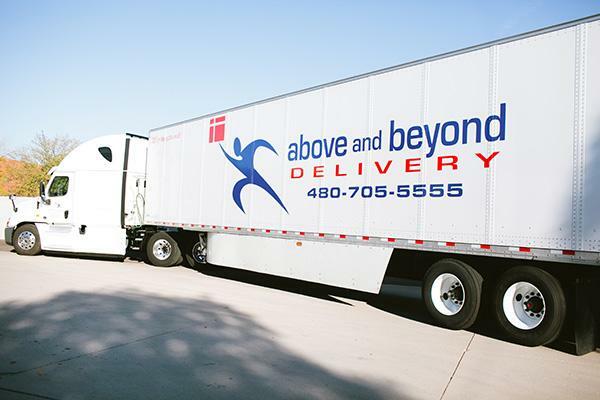 Above and Beyond Delivery provides customized logistics. No two customers are alike. We provide scheduled and routed services daily, twice a day, weekly, monthly and time-sensitive shipments.